The name is Indonesian, but Dr. Jono (as he is called by patients and staff) was born in New York. His mother, also a dentist, brought the whole family to California when Dr. Jono was a mere three weeks old, to pursue her career in San Jose. She later opened her own practice in Chinatown, San Francisco, where Dr. Jono spent many after school hours, mostly reading comic books in the waiting room. Unbeknownst to her, Dr. Jono was actually observing her, absorbing her work ethics — her compassionate service to that community, where sometimes she would be paid with a cooked chicken instead of cash and developing his desire to become a dentist as well. 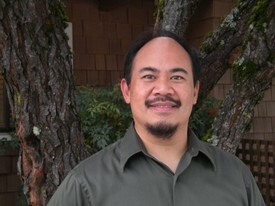 Dr. Jono received his education from UOP School of Dentistry and graduated in 1988 after completing his undergraduate work at Davis. 2018 marks his 29th year with Felton Dental Center. Always eager to provide the latest and best dental services to his patients, Dr. Jono has continued his education by taking extensive courses in CEREC and implant surgery in order to offer these services to his patients. 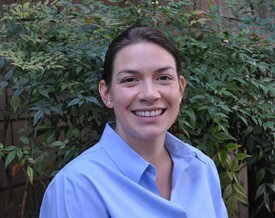 Originally from New England, Dr. Thompson completed her undergraduate education at Tufts University in Boston before moving to the Bay Area to pursue a dental education. She received her Doctorate of Dental Surgery from the University of California at San Francisco in 2003, where she was honored with several awards and a scholarship for her work in dental research and community service. Over the past 10 years, Dr. Thompson has practiced general dentistry in both private practice and non-profit settings. Committed to providing the best and most up to date care possible for her patients, Dr. Thompson completes over 30 hours of continuing education per year including postdoctoral courses in pediatric dentistry, prosthodontics, endodontics and oral surgery. Dr. Thompson is passionate that everyone deserves a healthy smile, and has served as the Dental Director of a non-profit dental facility where she developed mobile outreach programs to provide on-site care at schools, nursing facilities, and resource centers targeting low-income communities. Outside of the dental office, Dr. Thompson can be found riding bikes with her husband Zach and their two sons, stand-up paddling, or curling up with a good book.